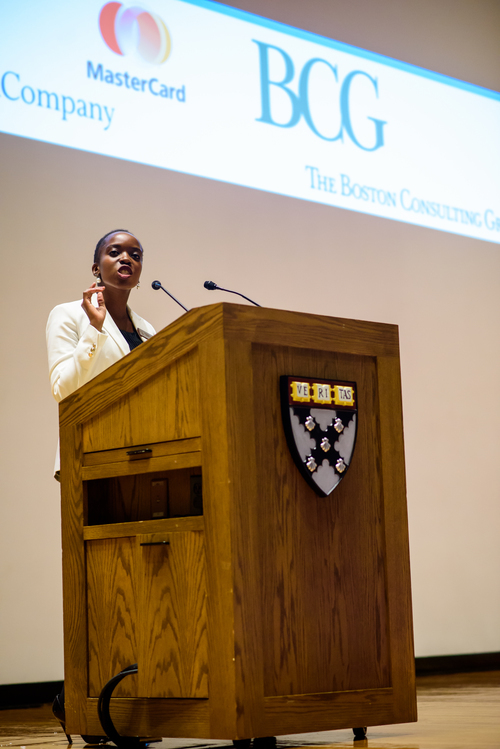 The Africa Business Club is a student-run organization of the Harvard Business School. We provide services and resources for African students, students who've worked in Africa and any student with a professional or cultural interest in Africa. We also promote the engagement of the African business community with Harvard Business School. The HBS Africa Business Club, founded on November 12, 1997, is dedicated to increasing the awareness of business opportunities on the African continent. Our activities are professional, educational and social in nature, and are open to all members of the Harvard community as well as the broader young professional African network though our annual conference. Provide a forum for career opportunities for students interested in the African region, as well as employers seeking the skills of HBS and other college graduates. Raise the awareness in the HBS community about investment and other business opportunities on the continent with the aim of creating more ventures and deals in Africa. Integrate the coverage of African countries and businesses into the HBS curriculum through the development of case studies by faculty and doctoral students. Promote the discussion of economic, political and social issues confronting the continent through speakers, conferences and other events. Increase applications from and admittance of African students to HBS, and serve as a resource to such prospective students. Have fun through social events with an Africa flair! If you are interested in staying in touch and learning about events and opportunities open to the general Harvard community, be sure to sign-up your email address below. Every year, the Africa Business Club hosts the largest African student-run conference, bringing together preeminent keynote speakers, expert panelists, and approximately 1000 passionate students and professionals from across the globe to discuss and debate important topics on business in Africa. This highly acclaimed event includes panel sessions, networking events, a fashion show, prospective students' day, and a banquet. Our core mission is to expose the HBS community to the unique and vast business opportunities that Africa presents. We also aspire to energize the community about Africa – through social and professional events – and create a dialogue about how our generation can navigate Africa's challenges to generate far-reaching impact on the continent. Sign up with your Harvard email address to receive news and updates. We respect your privacy. Your personal information will only be used to share events and opportunities open to the general Harvard community.